How a children draw, can turns into a icon. In the life of someone professional in design, we face us often with a lack of imagination, originality or simply for complicate too much. Sometimes it has to be someone with clean mind to teach us that we should be keeping the simple, obvious and concrete. Not complicate! In User Experience it takes great discipline to not complicate. We thing that the right thing is to show “everything” is the right thing. Sometimes it is not the case. 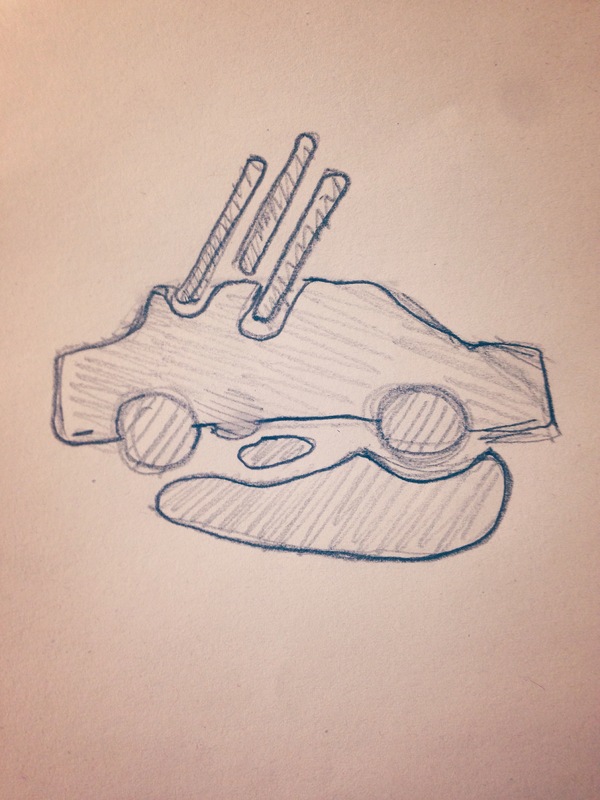 I’d like to share with you this drawing that made me wonder… Why? Because of its simplicity, being direct and devoid of any extra information. Here a draw of a 4 years old boy. 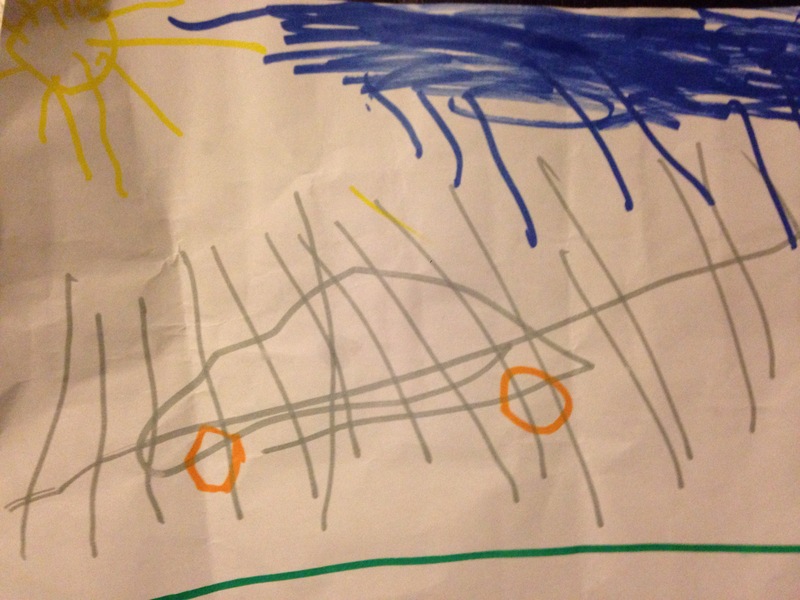 The child has drawn a car in the rain. There are drops (rain) water and the car floor. 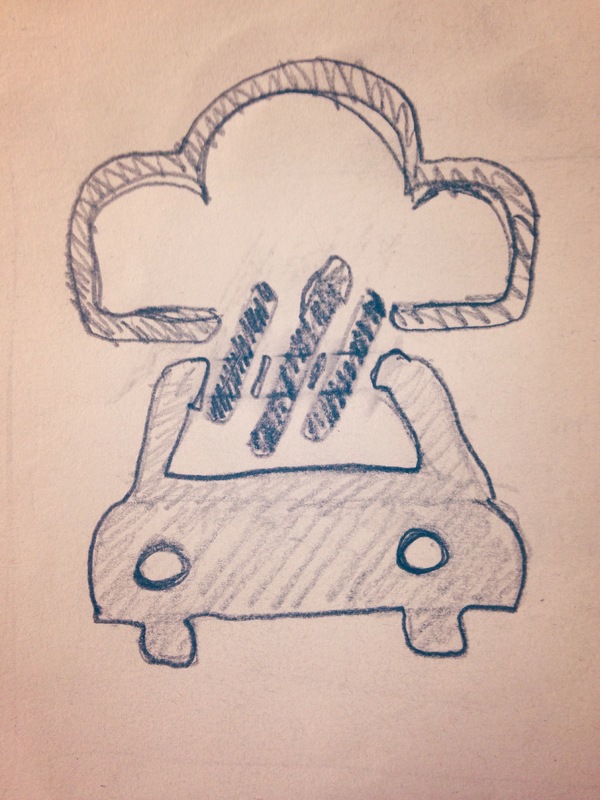 The rain are diagonal risks, overlapping in the car. The car is fine … is a car (obviously)! And the water is on the floor and is blue. Nothing simpler. I think it would make a great icon. I think that probably the icons do not make sense for any particular situation. I wanted to try and make some sketches. Well … I still prefer the original design ! – Careful with the storm! . Do not drive ! – It’s rainning. Stay home ! 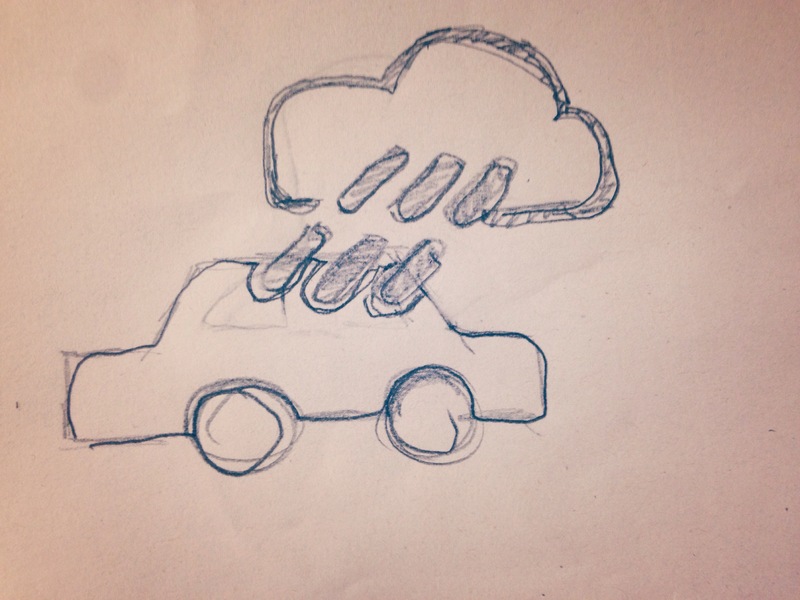 – Careful with the storm , do not drive , there is water on the floor!